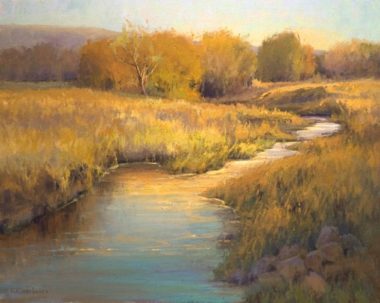 Kim Casebeer divides her time between the studio and painting outdoors en plein air. 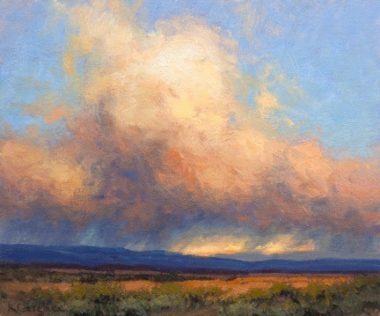 Kim feels strongly her plein airs give her valuable insight when working on larger pieces. 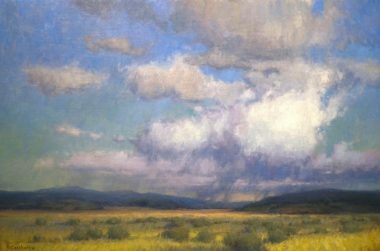 The light, shadows, wind, rain, sun, and how she felt – these are all important notes to capture. 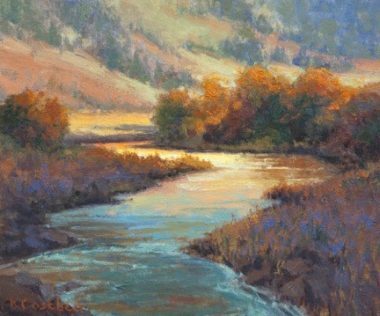 She does not want to just paint pretty pictures. 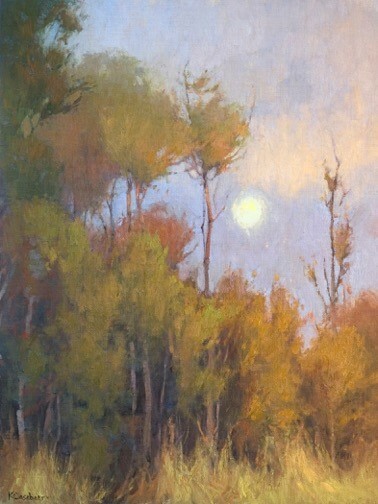 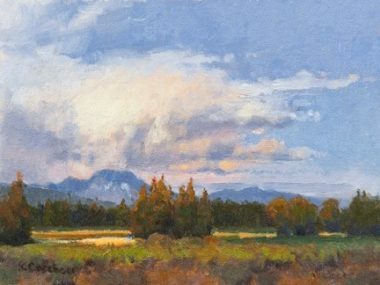 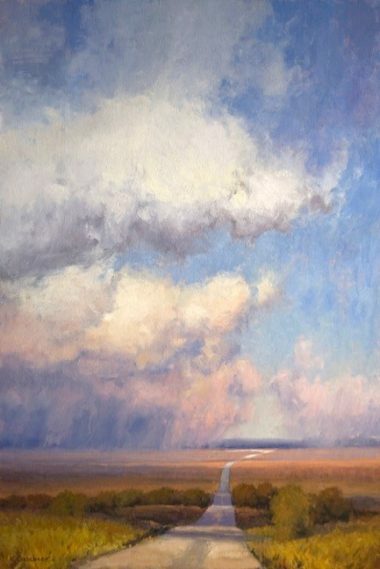 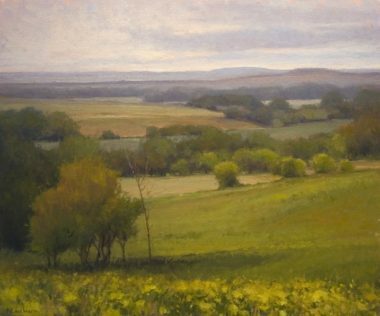 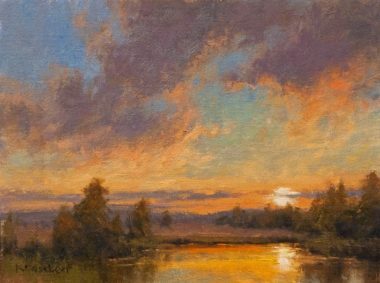 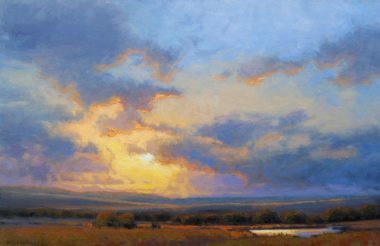 Kim has an uncommon command of color, light and atmosphere and using these skills, can take a landscape painting and elicit an emotional response. 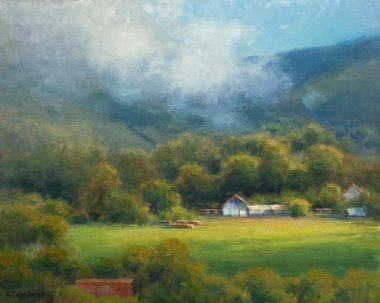 She may have 8-10 pieces at different points of completion in her studio at any given time because she needs to put them away at various stages in order to be able to later see them with fresh eyes. 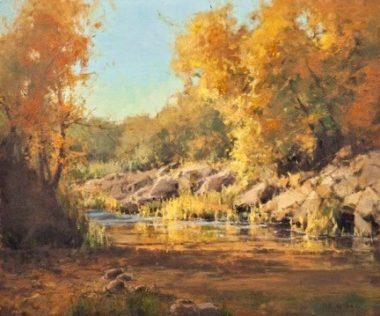 Even though it takes time for each painting to reach it’s full potential, Kim keeps the brush work fresh and keeps the outdoor studies close by in order to remind her of that spontaneity.